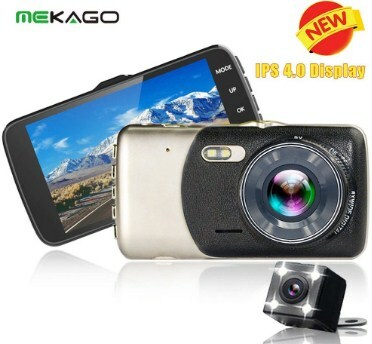 MtkCamera is the short for Mediatek Camera. For those who do not know, this term refers to the camera app that designed to work on Mediatek powered devices. The word Mediatek is known as the company that based in Taiwan. The architecture of this one is different from its rival named Snapdragon. Do you want to know about the rem more? Please read the entire article and do not miss a single thing. You might get warning about something related to MtkCamera while rooting your Android 5.1 phone. Usually, the message is written something like “Google recommends that you immediately uninstall this app: MtkCamera It contains code that attempts to bypass Android’s security protections.” Apparently, it just happens for some people. It means that some other people do not encounter this kind of thing. When you encounter this for the very first time, you might feel confused and frustrated about the situation. Then, what should you do? As stated before, MtkCamera was made by a Taiwanese company named Mediatek. Some people on the online community suspect that the reason some people do not face this one can be simply because they do not have a Taiwanese firmware. Some people who encounter this said that they have a Taiwanese firmware and got MtkCamera after vroot. Rooting is known as the opening gateway to access the system files. Apparently, system files can be mean the security files as well. You have to know that the process of rooting can be potential harmful if the access of rooting is given to malware software. In order to protect the non-advance user from the potential risk, there is a warning added by Google. Is the warning counted as the scare tactic from Google or is there a genuine reason to follow the advice? MtkCamera looks suspicious, at least for some people. The reason behind it is because it do some things such as changing the network connectivity, connecting and disconnecting WiFi, full network access, viewing the network connection, viewing the WiFi connection, pairing with the bluetooth devices, and allowing the WiFi multicast reception. If you are not sure if you want to remove it yet, the best thing that you can do is to put it behind the firewall. Another way in your option is to freeze the app. If you trust the app and you are sure of what you are doing, then you can continue the process. Feel free to take the best decision you think it is best. Some users on the online community even recommend you to remove the app as soon as you saw it. They think it is better for you to not to run it as removing the app does nothing to the process of root. For more information about MtkCamera, you can visit the official website of Mediatek. If you are not sure about what you should do when it comes to facing MtkCamera, it is better for you to discuss it first with the experts or the online community of root.